"I don't need to know about your package. I am pretty sure I have you figured out better than you have me defined." After an unexpected turn of events, Cammie Spencer starts to wonder if there is more to life than being high society arm candy and whether her fiancé, Oliver, is the man for her. There's no denying Holden has always made her hot, but over the years, he's become the most tempting form of forbidden love. For Holden Masters, there are some things money can't buy, but that isn't the case at the annual Magnolia Grove Cancer Charity Auction. The only woman Holden Masters has ever wanted is up for bids in a 'secret date' auction. It's not the first time he's yearned for Cammie. He's wanted her for as long as he can remember, but family drama, façades, and social rank have gotten in the way. The biggest obstacle now is determining whether Holden knows her well enough to prove that he's more than the cocky bad boy she's always known. 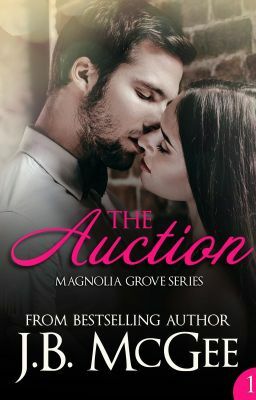 Does Holden know enough about Cammie to win her date and her heart in The Auction?